BASKETBALL SPOTLIGHT NEWS: Roy Ready For Future Phenom Camp! The Basketball Spotlight Future Phenom Camp has added some excitement as the Garden State’s Ben Roy has decided to attend. 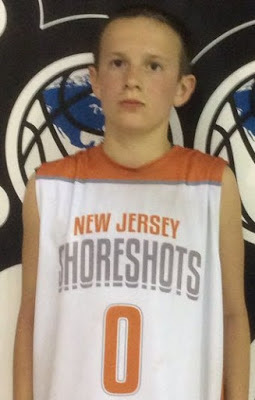 Roy has helped NJ Shore Shots 13U squad become one of the most emerging teams in the Tri-State area. The point guard has set up ability along with unbelievable range. Now he will be testing his skills against some of the best players in America. Stay tuned as Basketball Spotlight will be bringing you more of the top players that will be headed to the Future Phenom Camp August 26th and 27th in Boyd, MD. Don't miss out on the opportunity to battle the best. Register quickly because a sellout is coming.